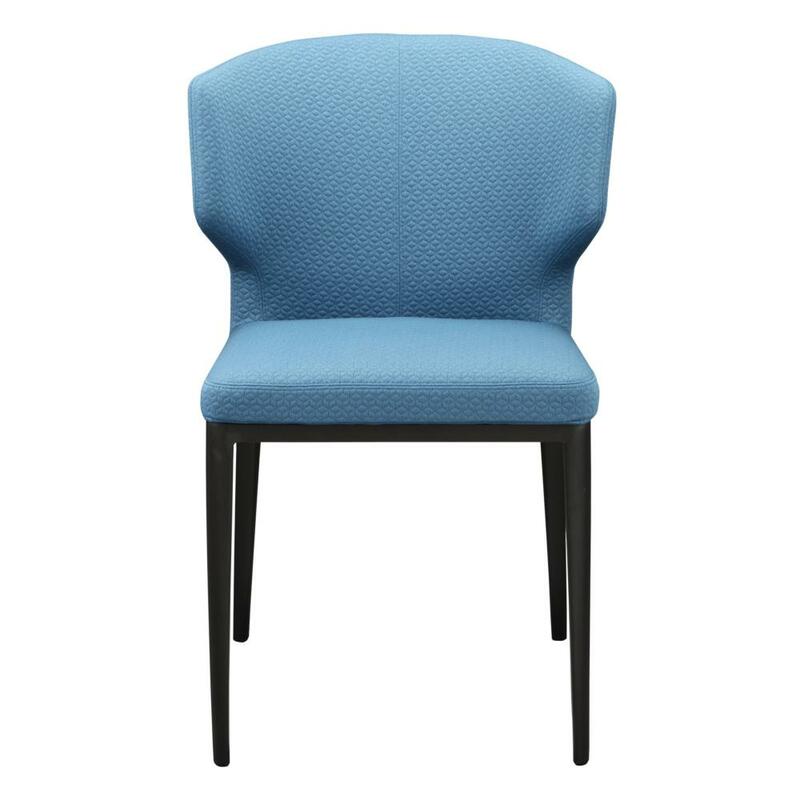 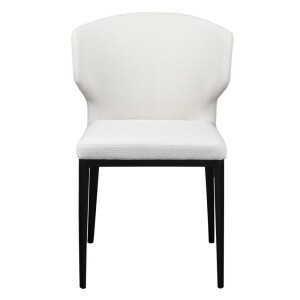 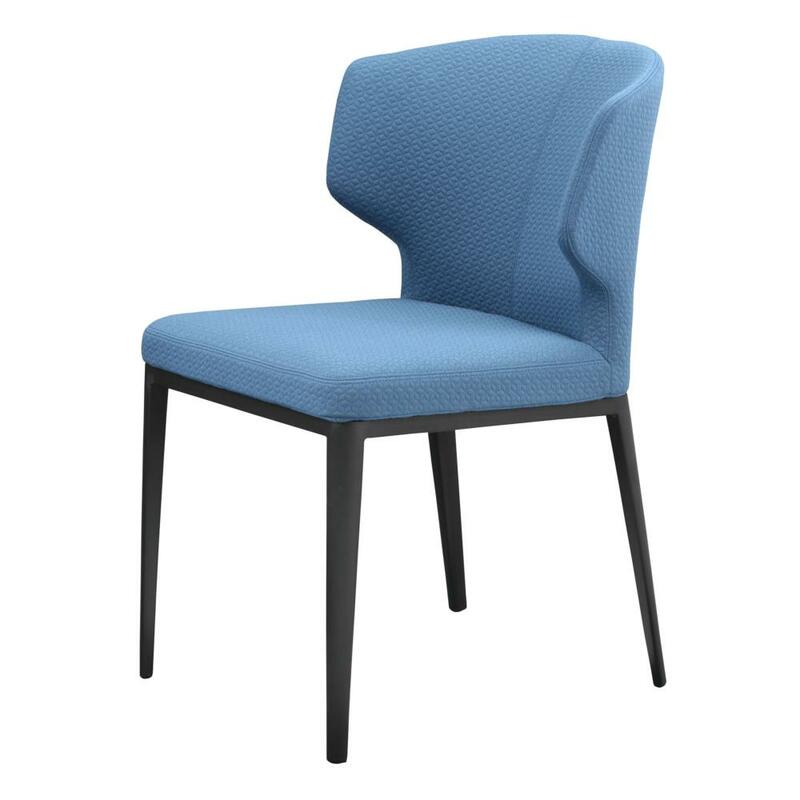 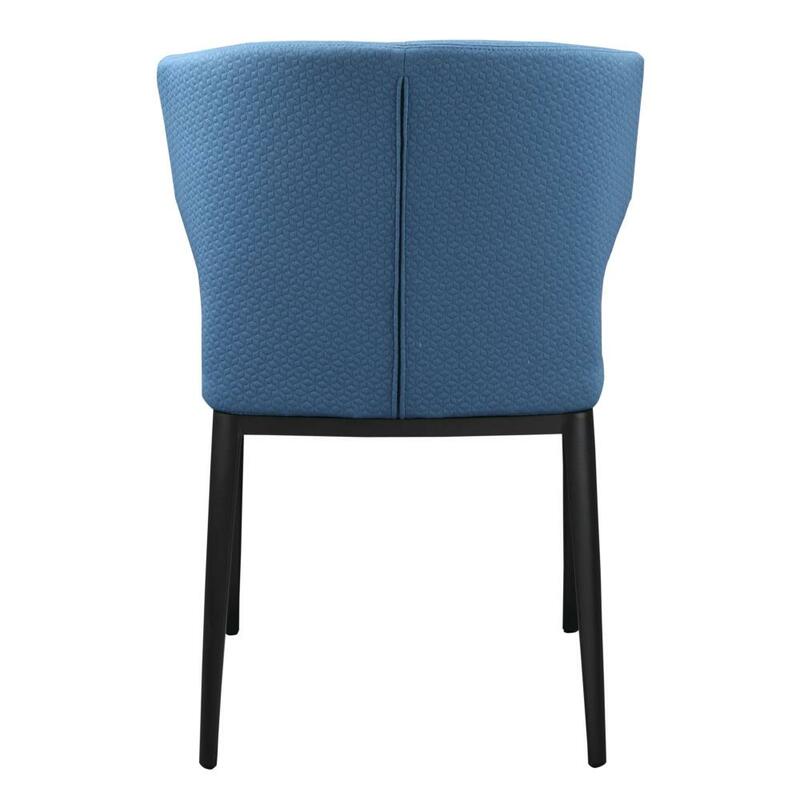 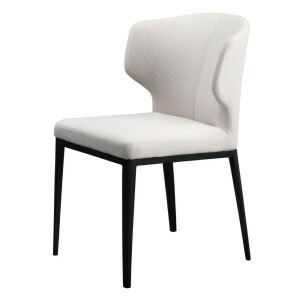 This side dining chair comes in blue or beige. No arms makes this chair fit perfectly around any table style. Made of 100% Polyester and Steel. Fine patterned fabric.